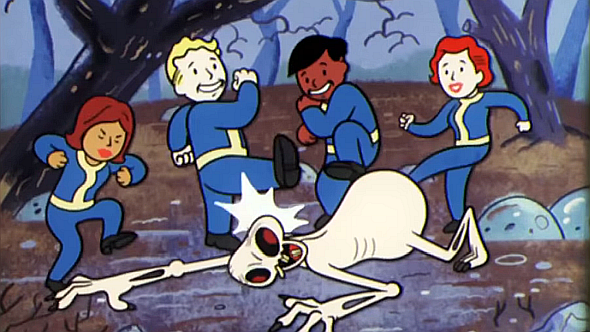 Fallout 76 is making the jump to online multiplayer, and the series’ SPECIAL system for character development is getting some changes. Each attribute – Strength, Perception, Endurance, Charisma, Intelligence, Agility, and Luck – can be boosted by a point every time you gain a level, as in older Fallout games. But in Fallout 76, there’s no level cap – you just won’t get new SPECIAL points once you hit level 50. Game director Todd Howard explained the changes to the SPECIAL system during a panel at QuakeCon today. Howard said the team didn’t want to create a game in which you would “finish” developing your character, so you’ll continue to gain experience and gain levels continuously. But you’ll stop earning new points to put into attributes at level 50. At that point, you’ll only gain new perk cards to slot into each SPECIAL attribute. The number of points you’ve assigned to each attribute will determine the number and types of perks you can have active at any given time. Since you’ll always be earning new cards, you’ll still be able to tweak your build even after you’ve hit the SPECIAL points cap.